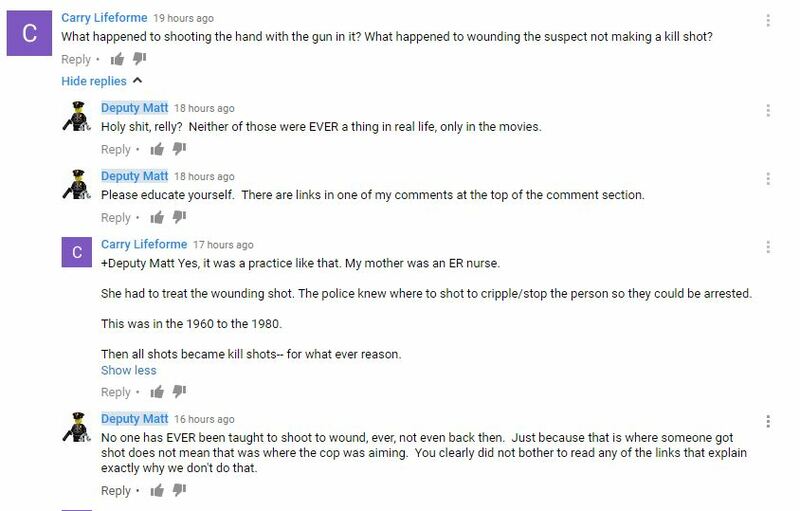 Every time there is an officer involved shooting, the keyboard commandos and internet academy police experts come out of the woodwork. These are the people with no actual experience doing the job, but they are going to tell you exactly how you should have done things. 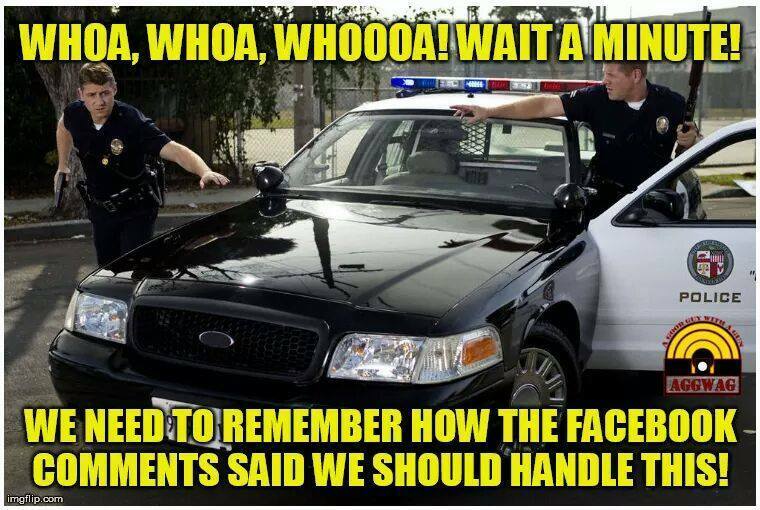 They will explain how unarmed and single handedly they would have disarmed that suspect in seconds without injuring them. These folks are not a new phenomenon. There are memes by the dozen for those folks, and below are a few of them. However, no matter how much I (we) realize they exist, they still get under my skin. 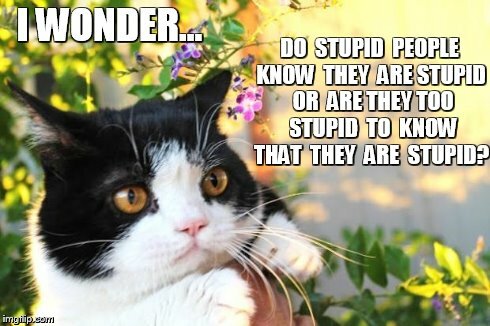 The problem is not necessarily them, it is that their stupidity infects the soft headed people who don’t know any better. A person who knows absolutely nothing about a topic has no way to distinguish an actual expert from one of these idiots. 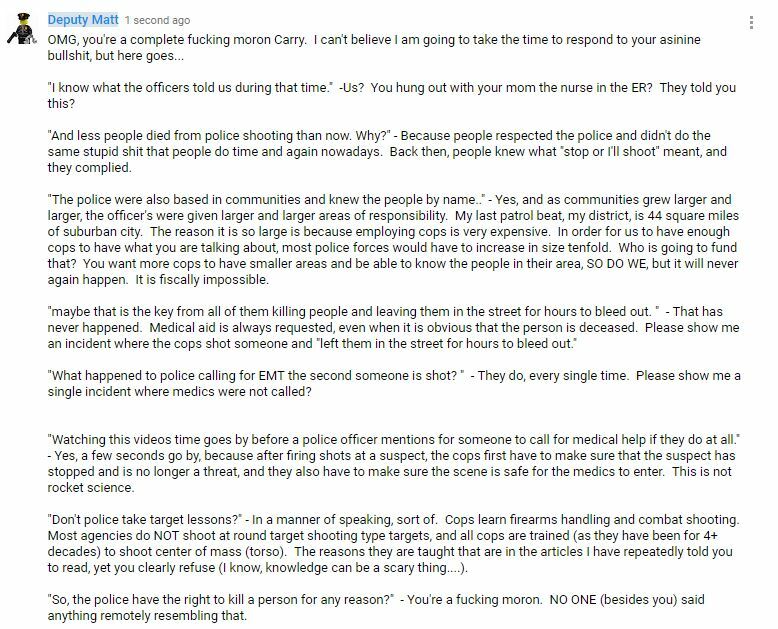 I recently (5 days ago) put together a YouTube video in which I offered my own analysis of the video of the Keith Scott shooting that was filmed by his wife on her cell phone. 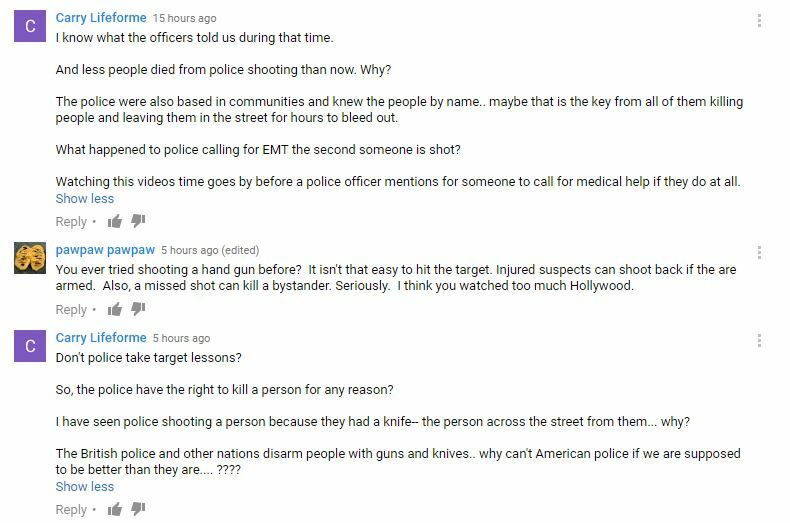 That video has gotten a ton of traffic, and the comment section has been very busy, which has unfortunately kept me very busy policing it. Besides being called all the slurs you can imagine for a cop, called a racist, a Nazi, and even received at least one death threat, I’ve had the pleasure to encounter a large number of the internet police experts. 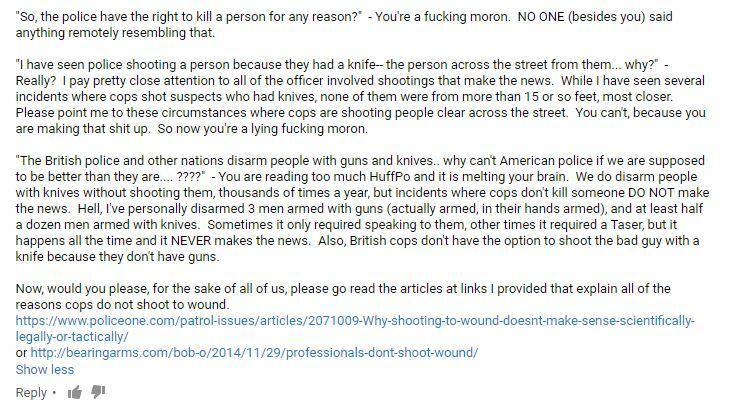 This person here, “Carry Lifeforme,” takes the prize as the biggest, most annoying moron of them all. What follows are screenshots capturing the entire conversion thus far. Please be advised, at some point I’ve given up all semblance of professionalism and the expletives begin to fly. Carry here epitomizes the type of person I am talking about. No actual knowledge, no proof, any evidence is second hand anecdotal hearsay, and they refuse to do anything to learn actual facts on the matter. Again, my main issue is not with their stupidity, but that their stupidity is contagious.